The most recent government guidelines on fibre intake recommend 30g per day for adults. Levels are currently at just 20g per day for adult men and 17.1g per day for women – that’s an average 68% increase in intake needed to meet recommendations. And it’s not just adults: there’s a significant disparity between recommended and actual fibre intake across all age groups. So why is fibre so important? And what can we do to help people meet the recommended intake levels? Here’s a quick overview. To explore the topic in more detail, join our upcoming Fibre NutriWebinar, on Wednesday 7 November. Dietary fibre has long been recognised for its health benefits. But it’s only in recent years that our understanding and appreciation of it has significantly progressed. Fibre’s health effects mainly result from two key factors – its physical properties (eg stool bulking, viscosity, binding ability) and its effect on the gut microbiota and luminal environment. Where are we getting our fibre from? The main sources of fibre in the UK are cereals, vegetable and potatoes, contributing to 70% of total intake. Interestingly, white bread and potato products prepared with fat (eg chips and crisps) are significant contributors. This is despite the fact that they have comparatively low fibre content, showing that consumption is high. One of our challenges is to educate the public on healthier fibre sources – fruit, vegetables, whole grains and pulses, rather than broad recommendations on increasing cereals. 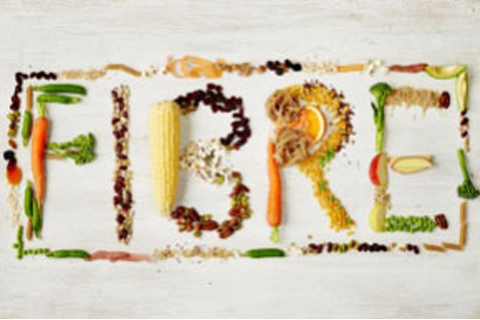 We know that despite the convincing body of evidence for the role of dietary fibre in many chronic conditions, translating and achieving fibre recommendations in practice can be challenging. Understanding the key barriers faced by the public and putting forward strategies to overcome these is key to facilitating better health for all. Find out more about the FREE Fibre NutriWebinar with Dr Megan Rossi, RD and register now. It’s one of our ongoing NutriWebinar series examining key nutrition topics with experts in the field.